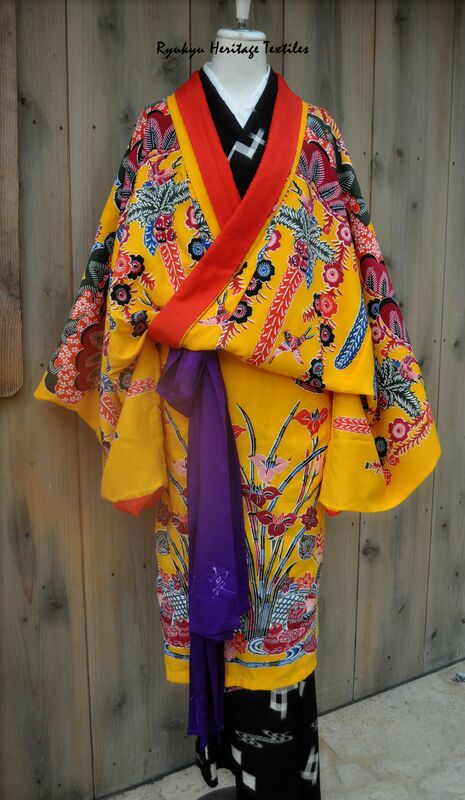 Traditional Ryukyu kimonos are constructed of handwoven fabric with bingata natural dye designs. The underlying fabric is also handwoven, however the weave structure differs and consists of the Kasuri Ikat style. 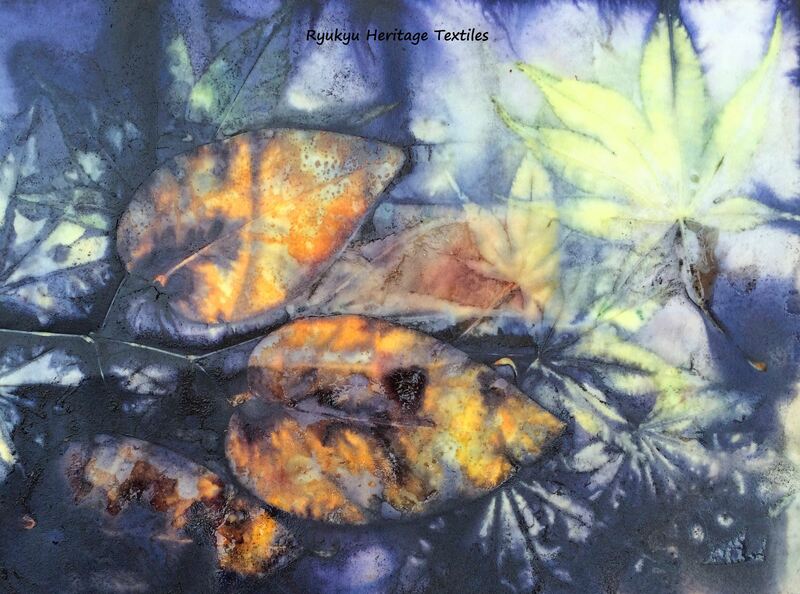 I’m so glad that you like the traditional colorful textiles of the Ryukyus Marie! Thanks for visiting my website! 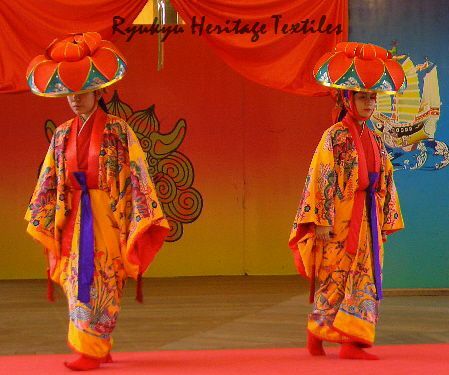 Obrigado por visitar Têxtil Ryukyu Herança – seus comentários sobre Okinawa cultura e da arte de fibra são muito apreciados!